This flag has gone to the Oceanside Museum of Art for the Prayer Flag Project installation which will open October 14 and run until December 31 during the run of the traveling exhibit from Quilt National 2011. I chose the turtle, for while it has a safe haven within its shell, most of the time it moves fearlessly forward in world. 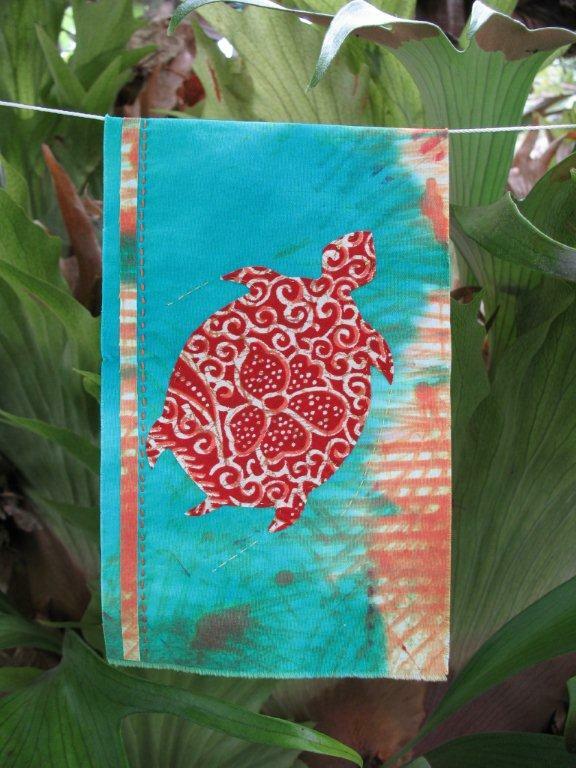 The fabric is hand dyed cotton and the turtle is appliqued. Hand embroidery detail is added. For the Prayer Flag Project, here is "Energy" as we make transition from expansive summer to a more inward season with the approach of fall. May all be well! 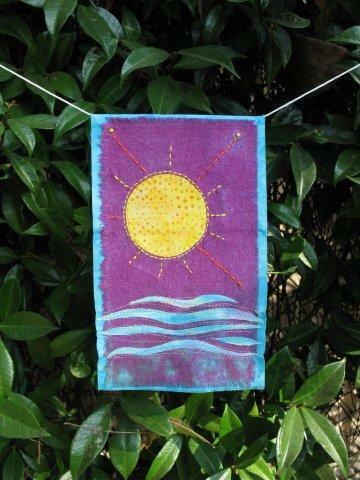 The sun was appliqued and hand embroidered. The waves were appliqued and machine stitched.